The latest issue of the peer-reviewed Internet Archaeology journal is titled Critical Blogging in Archaeology and features an article titled Bones, Bodies, and Blogs: Outreach and Engagement in Bioarchaeology by two notable bloggers, Kristina Killgrove and Katy Meyers Emery (Emery & Killgrove 2015). Killgrove runs the Powered by Osteons site focusing on Roman bioarchaeology, classical archaeology and bioanthropology, whilst Emery runs Bones Don’t Lie, a site focusing on mortuary archaeology, bioarchaeology and reviewing the pertinent literature. I admit here to having an interest in the article as I am, amongst others, one of the bloggers discussed in the article who also helped to provide a quote for the article. Regardless, I feel that it is important to raise the publishing of this article as it represents an excellent example of an overview of the pertinent issues in blogging bioarchaeology. 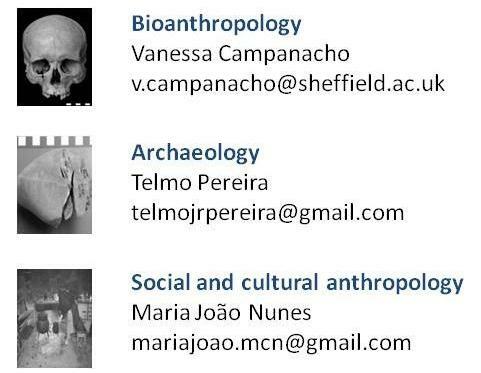 These include understanding the benefits, both personal and professional, of running a bioarchaeology blog, understanding the role and importance of authority in blogging archaeology (see also Richardson 2014) and advice on best practice for bioarchaeology bloggers themselves. In a way this article specifically builds upon a small raft of recent archaeology and anthropology-blogging focused papers (de Konig 2013, Richardson 2014) by focusing only on bioarchaeology as a still nascent archaeology blogging specialism dominated by several main sites. As Emery and Killgrove (2015) highlight, there is a remarkably small online presence of bioarchaeologists, even though there is a large public hunger for knowledge on the methods used in both the bioarchaeological and forensic sciences. The authors also raise one of the interesting blogging demographic trends in bioarchaeology – the strong representation of females compared to males in skeletal-based specialisms, such as biological anthropology or palaeopathology. This is something that is replicated in the discipline itself across both the academic and commercial field. I won’t go any further into the article here as it is wonderfully open access and deserve to be read in its entirety. I particularly recommend any researchers interested in archaeological blogging to read the article as it offers sage advice that can apply to the whole field rather than just the specialism of bioarchaeology. Bone Broke, by Jess Beck – an excellent site to learn about the finer points of human osteology and then have the opportunity to test yourself on the bone quizzes. Keep an eye out for the various mini series that Jess runs on the site, from anatomy vocabularies to the osteology everywhere series. The occasional travelogue also highlights the travels that the author heads out on. Powered By Osteons, by Kristina Killgrove – sick of the inaccuracies in the TV show Bones? Head over to PbO to learn about the real methods used in the study of skeletal material in forensic circumstances. The site includes fascinating research posts on Roman bioarchaeology, a remarkably little studied specialism on the classical world. Furthermore you can entertain yourself by looking through Who Needs An Osteologist series to figure out which skeletal element has been misplaced. Bones Don’t Lie, by Katy Meyers Emery – a regularly updated site which features a wide review of current and past academic articles focusing on mortuary and funerary archaeology. Katy carefully dissects the context and content of the articles and highlights the most important and pertinent parts for the reader, an invaluable service in a world where many bioarchaeological articles are still locked behind a paywall, inaccessible to most. Deathsplanation, by Alison Atkin – Black death research galore as Alison elucidates the finer points of bioarchaeological research as applied to historic populations devastated by this still captivating medieval epidemic. Keep an eye out for her series on disability in archaeology and for the occasional entertaining and thought provoking art pieces. Strange Remains, by Dolly Stolze – Dolly’s site focuses on the stranger side of death and human remains, whether this is the varying approach that humans have taken to body deposition or funerary treatment, or to the more somber forensic aspects of skeletal recovery and analysis. 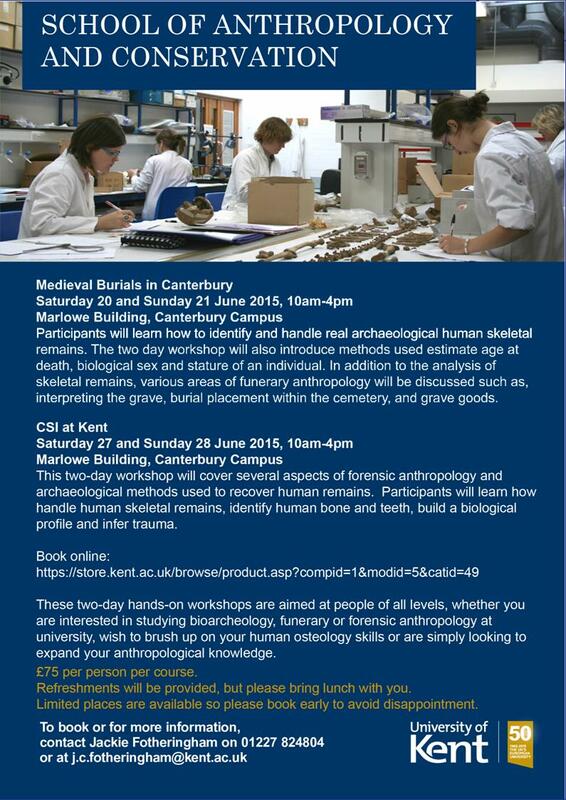 Alternatively if you yourself are a bioarchaeologist, or have an interest in bioarchaeology, and want to build up your communication skills and outreach experience then I’d advise joining the crowd and get blogging! de Koning, M. 2013. Hello World! Challenges for Blogging as Anthropological Outreach. Journal of the Royal Anthropological Institute. 19 (2): 394-397. DOI: 10.1111/1467-9655.12040. Emery, K. M. & Killgrove, K. 2015. Bones, Bodies, and Blogs: Outreach and Engagement in Bioarchaeology. Internet Archaeology. 39. http://dx.doi.org/10.11141/ia.39.5. (Open Access). Richardson, L-J. 2014. Understanding Archaeological Authority in a Digital Context. Internet Archaeology. 38. DOI: http://dx.doi.org/10.11141/ia.38.1. (Open Access).